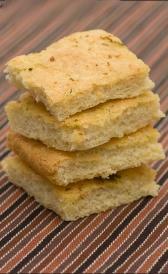 Enriched semolina: This food is low in total lipid, total sugars and calcium but Enriched semolina has carbohydrate, selenium and thiamin in high quantity. Sorghum: This food has a low quantiti of water, total sugars and magnesium but has a high quantity of carbohydrate. Dry pearl tapioca: High in carbohydrate and low in water, protein and total lipid. Triticale: Triticale is high carbohydrate, magnesium and phosphorus. On the other hand. is low in water, total lipid and total dietary fiber. Hard red spring wheat: This food has a low quantiti of total lipid, total sugars and sodium but has a high quantity of carbohydrate, total dietary fiber and magnesium. Hard red winter wheat: High in carbohydrate, total dietary fiber and magnesium and low in total lipid, total sugars and sodium. Soft red winter wheat: Soft red winter wheat is high carbohydrate, total dietary fiber and magnesium. On the other hand. is low in total lipid, total sugars and sodium. Hard white wheat: This food is low in water, total lipid and total sugars but Hard white wheat has carbohydrate, total dietary fiber and magnesium in high quantity. Soft white wheat: This food has a low quantiti of water, total lipid and total sugars but has a high quantity of carbohydrate, total dietary fiber and magnesium. Durum wheat: High in carbohydrate, magnesium and phosphorus and low in water, total dietary fiber and total sugars. 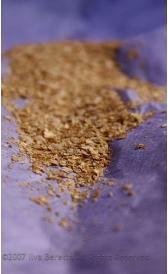 Crude wheat bran: Crude wheat bran is high ash, carbohydrate and total dietary fiber. On the other hand. is low in water, total sugars and sodium. Crude wheat germ: This food is low in total sugars, sodium and vitamin c but Crude wheat germ has protein, ash and carbohydrate in high quantity. Whole-grain wheat flour: High in carbohydrate, total dietary fiber and magnesium and low in water, total sugars and sodium. Sprouted wheat: This food has a low quantiti of total lipid, total sugars and sodium but has a high quantity of manganese and selenium. Raw wild rice: High in carbohydrate, magnesium and phosphorus and low in water, total lipid and calcium. Cooked wild rice: In food has a low quantity of total lipid, ash and total sugars. Brown rice flour: This food is low in total sugars, calcium and sodium but Brown rice flour has carbohydrate, magnesium and phosphorus in high quantity. Dry corn pasta: This food has a low quantiti of water, total lipid and total sugars but has a high quantity of carbohydrate, total dietary fiber and magnesium. Cooked corn pasta: In food has a low quantity of total lipid, ash and total sugars. Enriched dry macaroni: This food has a low quantiti of water, total lipid and calcium but has a high quantity of carbohydrate, selenium and thiamin. 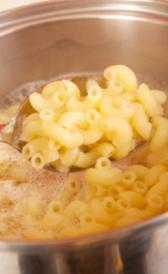 Cooked enriched macaroni: High in selenium and folate and low in total lipid, ash and total sugars. Dry whole-wheat macaroni: This food has a low quantiti of water, total lipid and total sugars but has a high quantity of carbohydrate, magnesium and manganese. Enriched dry egg noodles: Enriched dry egg noodles is high carbohydrate, selenium and thiamin. On the other hand. is low in water, total sugars and sodium. Chow mein chinese noodles: Chow mein chinese noodles is high food energy, total lipid and carbohydrate. On the other hand. is low in water, total sugars and calcium. Dry soba japanese noodles: This food is low in water, total lipid and total dietary fiber but Dry soba japanese noodles has carbohydrate, magnesium and sodium in high quantity. Enriched dry spaghetti: High in carbohydrate, selenium and thiamin and low in water, total lipid and calcium. Dry whole-wheat spaghetti: High in carbohydrate, magnesium and manganese and low in water, total lipid and total dietary fiber. Dry spinach spaghetti: This food is low in water, total lipid and sodium but Dry spinach spaghetti has carbohydrate, total dietary fiber and magnesium in high quantity. Cooked spinach spaghetti: This food has a low quantiti of total lipid, total dietary fiber and total sugars but has a high quantity of manganese. Barley flour or meal: This food is low in total lipid, total sugars and sodium but Barley flour or meal has carbohydrate, total dietary fiber and magnesium in high quantity.